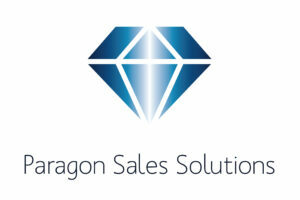 Paragon Sales Solutions are only three months in to trading. It has been a real great start to business and a very exciting time to see where it all grows and develops. Do not get me wrong; managing a business in the start up phase is a turbulent journey with massive peaks and troughs but so far I am loving the adventure. Just the other day, I was excited to receive an email from the Niche Business Awards 2018 to tell me that Paragon had been nominated for an award in the Best New Business category. I cannot write into words how excited, thrilled and yet slightly nervous I was to receive the email. Sure – this is only a nomination at this stage. We still need to progress through to the Semi finals and beyond, however to be recognised so early on is a massive blessing and makes all of the hard work worthwhile. Paragon was formed to help other businesses succeed, and to offer sales solutions to enabled continued success. Whether that be through sales consultancy, sales training or B2B telemarketing. We are here to help businesses just like yours to excel in your sales operations. I will keep you updated on the progress on the journey within these business awards. Between you and me; I am over the moon with the nomination itself! Of course, I would love to win! But a nomination alone means the World to me and the entire Paragon Sales Solutions team.